The Government Inspectorate asked the Chairman of the People’s Committee of Hanoi to inspect, consider, handle and recover the city’s budget of VND 483 billion from CT2 Kim Van – Kim Lu. Construction Joint Stock Company No. 2 (Vinaconex 2, HNX: VC2) has to pay VND340.6 billion, the private construction company No.1 in Dien Bien (Muong Thanh Group) has to pay VND142.4 billion. The Government Inspectorate recently announced the Announcement No. 2923 on inspection of investment management for the construction of a number of housing and urban development projects and the management and use of land funds and house funds from Investment projects for development of housing and urban areas in accordance with Decision 123/2011 of the People’s Committee of Hanoi, 2002 – 2014. According to Conclusion, in Land Lot CT2 belonging to Kim Van – Kim Lu new urban area project, Vinaconex 2 is the land owner. Specifically, the project has been allocated land for a long time but the departments do not advise the City People’s Committee to approve the price of land use fees. Investors have no basis to pay land use fees but still invest in building, trading and selling apartments to customers. 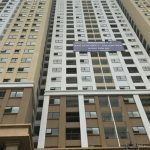 According to the Government Inspectorate, the amount of land use in this project (temporarily calculated) amounted to VND733 billion. Therefore, the Government Inspectorate asked the Hanoi People’s Committee to consider and recover the missing land use levy in the above project. The Kim Van – Kim Lu new urban area project is located in Dai Kim ward, Hoang Mai district, Hanoi with the area of ​​26ha. Previously, the project was licensed by Vinaconex 2 City for the purpose of building synchronous technical infrastructure and housing projects. After being licensed, Vinaconex 2 has divided the project into 2 phases. Of which, CT3 has an area of ​​28,373 sqm, Vinaconex 2 is the investor of the land area of ​​14,584 sqm; the remaining 13,802sqm, Vinaconex 2 has signed investment cooperation contract with Muong Thanh Group. 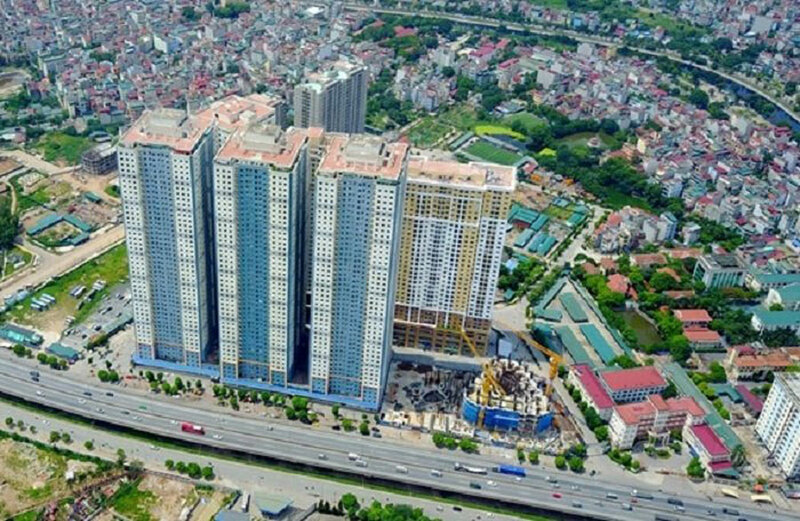 However, at this time, Vinaconex 2 and Muong Thanh Group did not have a contract to transfer the project to secondary investors for the construction of apartment complex and not yet licensed by Hanoi. invest. Therefore, the City People’s Committee has not determined the land use fee to be paid, the project investor has not yet fulfilled its financial obligations. According to the inspection agency, from the investment cooperation contract signed between the two companies, Muong Thanh Group has invested in the construction of high-rise apartment buildings and sold all the 2,177 apartments under the project. 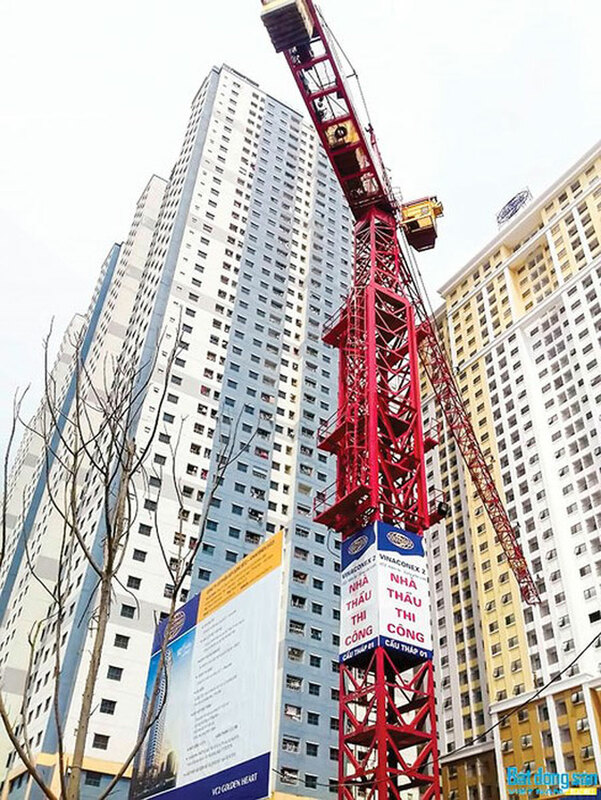 Noteworthy, these high-rise buildings, although not licensed by the city of Hanoi, have not paid land use fees, but the Department of Natural Resources and Environment still issued certificates of ownership of housing for customers. According to the Government Inspectorate, this is in violation of Article 72, Decree 42/2014 / ND-CP of the Government. Another mistake at Kim Van – Kim Lu new urban area project is that the number of floors 3, A, B, C, D1, D2 have been adjusted wrongly. According to the approved planning, these buildings are only allowed to be built up to a maximum of 20 storeys, but the authorities have allowed the company to build a 45-storey A tower, 45-storey Tower B 36 floors high, 36 high D1 buildings, D2 high 40 floors. You are reading the article Kim Van – Kim Lu project: Forcing Vinaconex 2 and Muong Thanh to pay VND483 billion in the Real Estate category at https://realestatevietnam.com.vn/. Any information sharing, feedback please contact through Hotline 0909890897 (24/7) or email to info@realestatevietnam.com.vn.